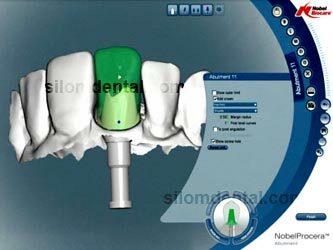 Place the Impression Coping Implant Level onto the implant and make an implant level impression. 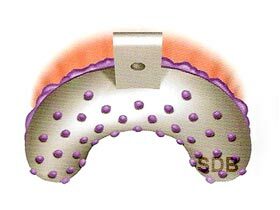 Connect the healing abutment or temporary restoration and send the impression to the laboratory. A model is made, the abutment is modified if necessary, and a restoration is made. Remove the temporary restoration. 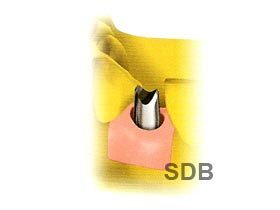 Ensure that the implant platform is free from any soft tissue or bone remnants. Connect the abutment and tighten the screw using the Screwdriver Unigrip. A radiograph can help to confirm accurate seating of the abutment. 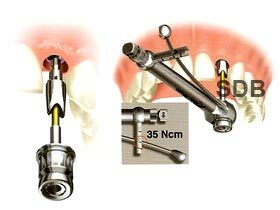 Tighten the abutment screw to 35 Ncm using the Manual Torque Wrench Prosthetic and Screwdriver Machine Unigrip. Block out screw access hole. Cement the restoration using temporary cement or final cement. 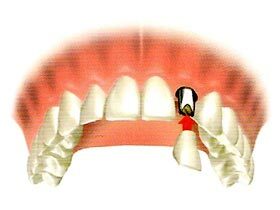 The restoration should be in light occlusion and excursive contact should be minimal.